The anti-aging market is an ever-evolving one, as new ingredients come into light with even more positive results than previous substances have promised. This year proves to be no different, with numerous anti-aging ingredients already making their way to the forefront of the skincare industry. Learn about five of the latest and greatest anti-aging miracle workers so you know what to look for in your skincare formulas. Free radicals in the environment lead to accelerated aging and an increased risk of some diseases. Their dangers have led many scientists on a never-ending quest to find the best methods for keeping these free radicals at bay. However, there is more than one type of free radical, so a variety of substances are needed to deal with the many free radicals lurking. Lipochroman-6 is an exciting discovery because it can actually deal with two different types of free radicals at the same time. This means a bigger result for your anti-aging dollar when you find skincare products that contain this anti-aging ingredient, although you will need to shop the most current lines to find it. This anti-aging ingredient is actually a type of Japanese sea kelp that has been dubbed the “beauty preserver” by natives of the region. Phytessence wakame works by inhibiting an enzyme that breaks down hyaluronic acid in the skin. Hyaluronic acid is a necessary substance that hydrates the skin from the inside out, helping it retain moisture for a softer, suppler appearance. Loss of hyaluronic acid leads to sagging skin and wrinkles, and therefore, boosting production of this substance with anti-aging ingredients can be an effective approach to younger looking skin. Known by its official name of adenosine triphosphate, ATP has been named by scientists as the “power behind life”. This important substance helps the cells of the body store and use energy as needed, protecting cells from harmful free radicals in the environment. While research on ATP in anti-aging products is still fairly preliminary, the initial results have been promising enough to lead some skincare companies to include this anti-aging ingredient in their formula listings. Tetradecylthioacetic acid, also known as TTA, may become another popular anti-aging ingredient this year. What scientists do know about this substance is that it is a powerful antioxidant that also provides serious anti-inflammatory benefits. In addition to preserving younger-looking skin, TTA may also be helpful in the treatment of acne and other skin conditions. This bean packs a powerful nutritional punch that makes it a popular choice in many recipes today. However, scientists are also discovering that the tepary bean may play an important role in collagen synthesis, making it a popular choice as an anti-aging ingredient as well. As we age, our bodies produce less collagen, resulting in sagging skin and the appearance of fine lines and wrinkles. Any ingredient that effectively boosts collagen production is a welcome one in an anti-aging line. These five anti-aging ingredients are poised to become the rising stars in the anti-aging skincare industry. Keep your eyes on those formula lists, and check for these new “miracle” anti-aging ingredients the next time you are in the market for skincare products. , where all anti-aging products are assessed based upon their scientific ingredients. Benzoyl peroxide is a vital chemical ingredient in numerous over-the-counter topical products for treating acne. 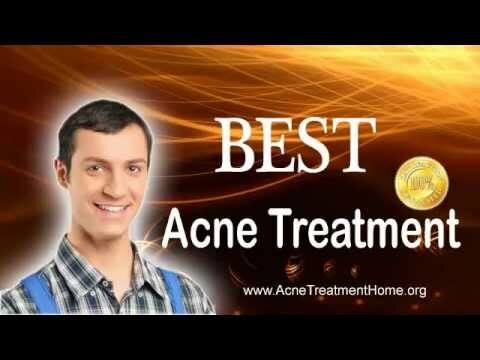 As a matter of fact, it is one of the most recommended and widely used acne treatments. Benzoyl peroxide is made available in gels, creams, lotions, and cleansers. It is an economical treatment, frequently used by acne sufferers. Benzoyl peroxide is the initial treatment of mild to moderate acne. Benzoyl peroxide primarily works as an oxidizing agent, which allows oxygen to penetrate through the pores and into the skin, creating an oxygen-rich (aerobic) environment. Hence, Benzoyl peroxide is an antiseptic as it indirectly kills Propionibacterium acnes – the culprit for acne outbreaks. As this medication reduces the quantity of bacteria on the surface of skin, it does not however trigger bacterial resistance or adverse reaction to antibiotics. Moreover, Benzoyl peroxide also deters the multiplication of yeasts on the skin. These bacteria cannot survive in such aerobic surrounding. Consequently, the reduction on the number of bacteria also reduces the occurrence of acne outbreaks. Additionally, as an oxidizing agent, Benzoyl peroxide dries off the thickened fluid or sebum and helps in alleviating the clogged pores so the acne lesions may heal without causing trauma (caused by squeezing or popping out the acne) to the affected area. Benzoyl peroxide also acts as an anti-inflammatory medication that reduces the swelling and inflammation of infected pustules and papules, thus relieving the individual from the tenderness and soreness brought about by acne breakouts. This acne treatment medication is most effective when used with an exfoliator that also has Bezoyl peroxide content. Benzoyl peroxide is also especially effective because it can help clear the follicle of excess cellular debris, minimizing the possibility of clogged pores, or comedones. Just like antibiotics, Benzoyl Peroxide must be continuously used, even after the symptoms (acne) disappear. Stopping the treatment on the wrong time may exacerbate the condition. To determine the duration of Benzoyl Peroxide usage, your dermatologist is the best person to seek for consultation. The length of time that the treatment should be continued primarily depends on the severity and extent of acne. The skin must be thoroughly washed and dried before applying a fine coating of Benzoyl Peroxide on the affected skin areas. This can be done 1 to 2 times everyday. Benzoyl Peroxide can bleach hair, clothing, and towels. Thus, the medication should not touch these materials right after application. Rather, allow the medication to dry completely to prevent bleaching your clothes, pillowcases, towels, and the like. Benzoyl Peroxide, like any other medications, also has some side effects. Effects that generally do not need medical attention include dryness, mild burning, flaking, and photosensitivity. However, if these side effects worsen, or swelling or crusting occurs, medical help should immediately be sought. Although following the package insert directions, or the instructions from your dermatologist can help reduce the possibility of unwanted side effects. Benzoyl Peroxide is indeed considered to have a magical touch, especially for those who are suffering from worse acne condition. But for it to become as effective as it should be, certain precautions must be considered and specific directions must be followed.